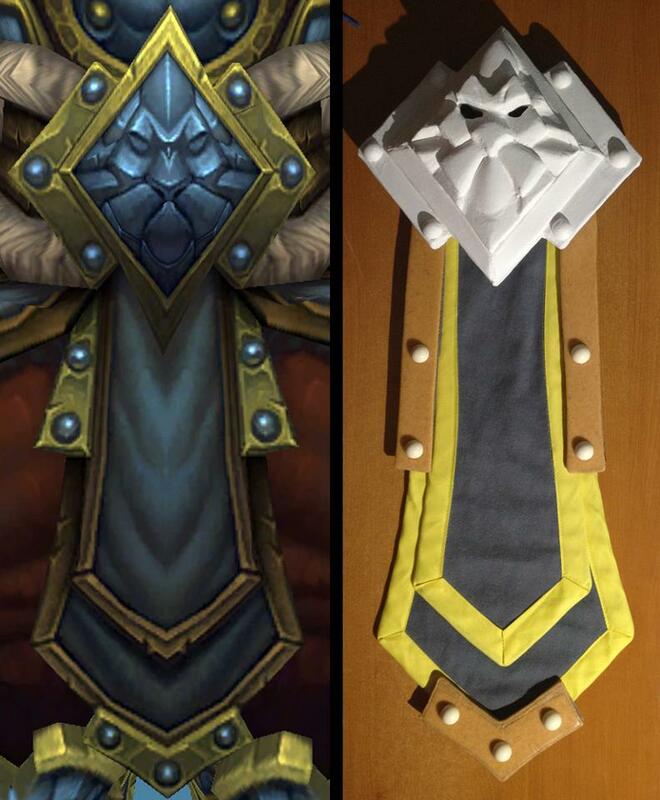 Here you can see how the pieces of the belt are going to come together. The image on the left is taken from the in-game model, the right are the pieces I'm building. I think this is the first picture I've posted showing some of the fabric pieces of this costume.